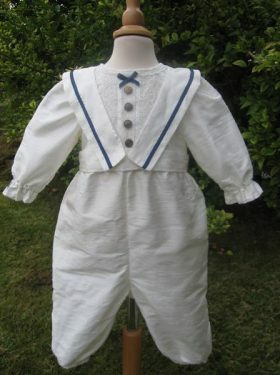 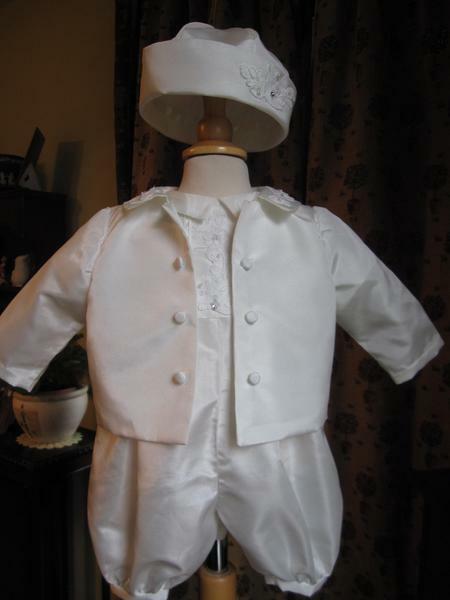 Due to popular demand Little Doves has launched for the Spring season the whole package for every little boy's christening. 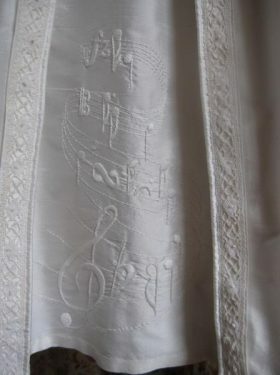 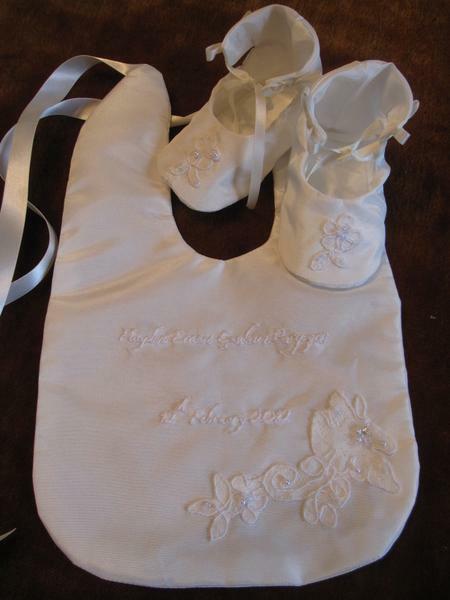 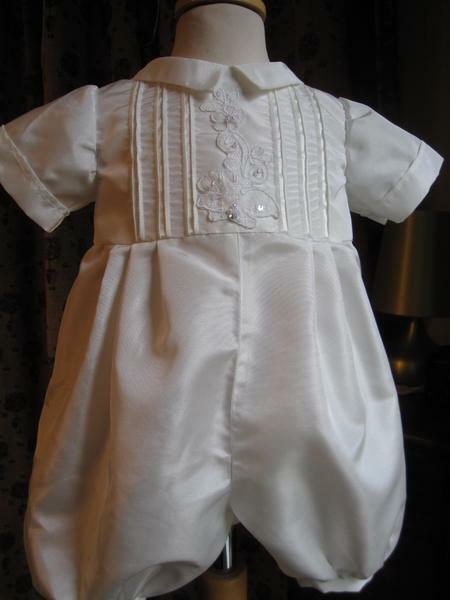 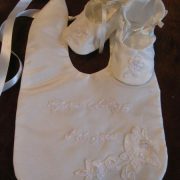 Choose a romper, a jacket, a cap, a bib and a pair of beautiful booties, all matching to create a wonderful outfit for your baptism. 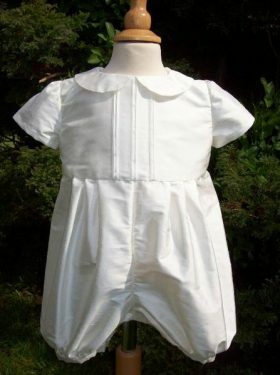 We can create any romper featured on this website out of silk or satin. 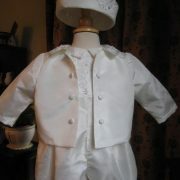 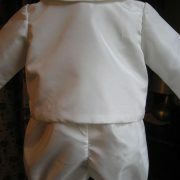 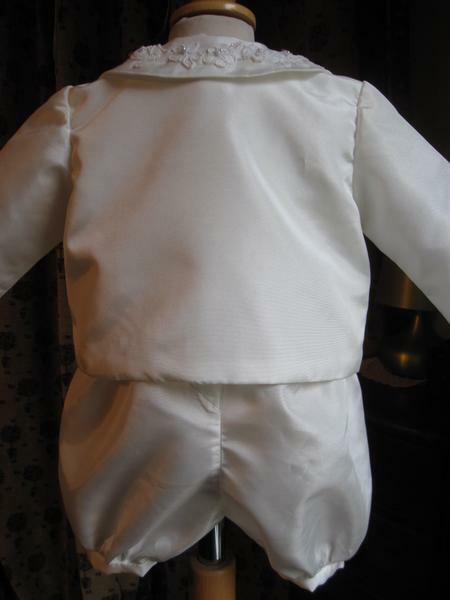 Then add a jacket which will have co-ordinating trim to match the romper. 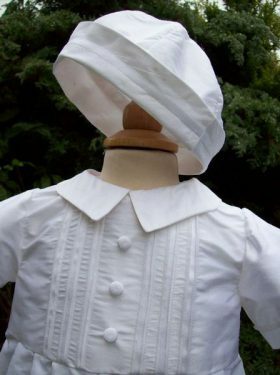 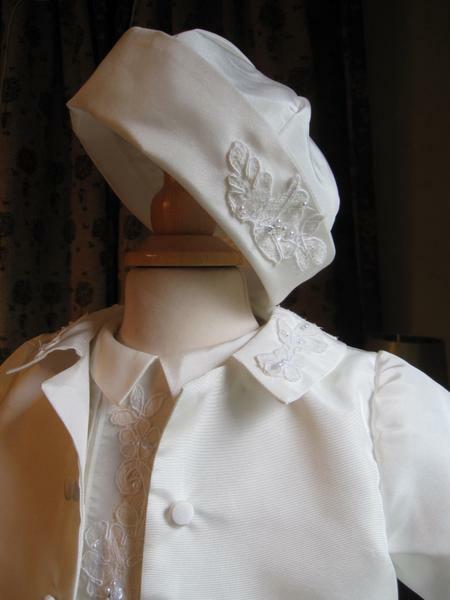 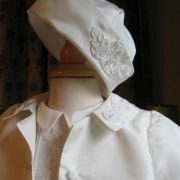 The sailor style cap will have the same trimming as will the bib and booties. 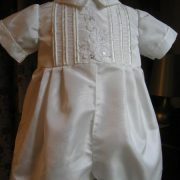 Sheer perfection.